UDG Healthcare has sold its Aquilant division for €23m to private equity firm H2 Equity Partners. The unit, which represented about 4pc of UDG’s $67.4m (€58.1m) operating profit during the six months that ended in March, has been under pressure during the third quarter. Aquilant, which distributes specialist medical equipment in Ireland, the UK and the Netherlands, was performing “well behind” compared to the third quarter in the previous financial year after the termination of two contracts, according to a trading update from UDG Healthcare. 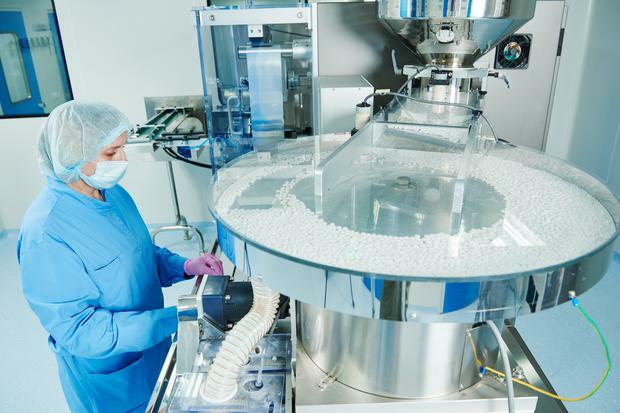 “Following the disposal of the group’s United Drug supply chain businesses to McKesson in April 2016, the group has now exited all of its lower margin distribution businesses,” it added. Proceeds from the disposal will be used to fuel growth at UDG’s higher-margin divisions, Ashfield and Sharp. H2 will pay an initial €20.5m in cash for Aquilant, and a deferred cash consideration of €2.5m. UDG said the group will also recognise a $10m (€8.6m) impairment charge related to the Aquilant sale, and also a charge of about $34m (€29.3m) related to the recognition of accumulated foreign exchange losses held in equity. “The sale of Aquilant is consistent with the group’s strategy to focus on its higher growth, higher margin international healthcare services businesses,” said UDG Healthcare CEO Brendan McAtamney. UDG’s Sharp business is involved in the packaging of pharmaceuticals, while Ashfield provides a broad range of outsourcing services. UDG said its group trading performance in the third quarter was ahead of last year. It said Ashfield’s communications and advisory arm also benefited from acquisitions, while the division’s commercial and clinical business experienced a challenging quarter. Previous articleExplainer: What is the latest (and why it’s happening) with Brad Pitt and Angelina Jolie’s very dramatic divorce?